Just like new! Completely renovated down to the studs in 2014, this stunning colonial is situated on 3+ acres with direct access from the backyard into Highland State Rec! Enjoy 12 miles of Equestrian Trails, 16 miles of world-class Mountain Bike Trails, 17 miles of Foot Trails, campsites, volleyball courts and much more. 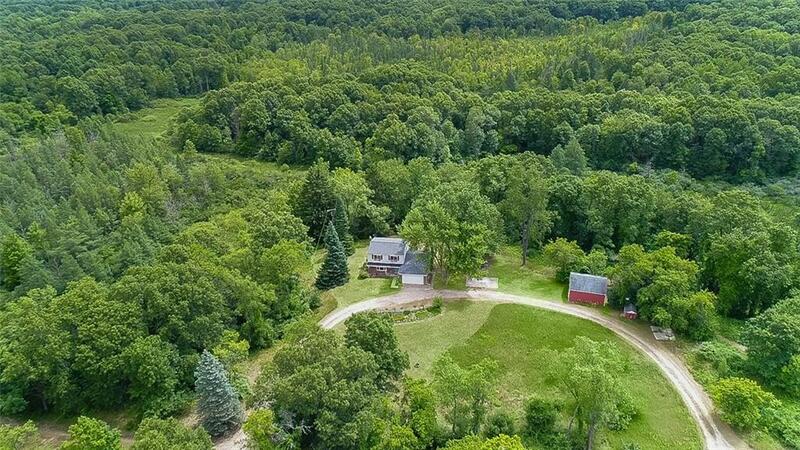 Equestrians will greatly appreciate the 2 stall horse barn along with the Equestrian Trail that offers breathtaking views of woods, fields, marshes and wildlife. Entertain friends and family in the chefâs kitchen featuring quartz counters, farm sink, SS appliances, high-end cabinetry, and countertop seating. Take in the beautiful views from the dining area which boasts 6 Anderson doorwalls. Other updated features include 3 fully tiled bathrooms, newer furnace, a/c, water softener, Kolbe windows, electrical, plumbing, deck, roof and more. Property is eligible for 4 horses. Barn includes water, electric and cement aisle. Donât miss out on this one!